A visit to Blackpool isn’t complete without taking in the views from the top of the world-famous Blackpool Tower. This iconic structure, built in 1894, houses the stunning Tower Ballroom, children’s adventure playground, Tower Dungeon, 4D cinema experience, the legendary Tower Circus and much more. It’s a must for the whole family. 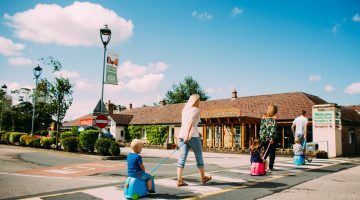 Looking for a wild day out only 10 minutes from Ribby Hall Village? 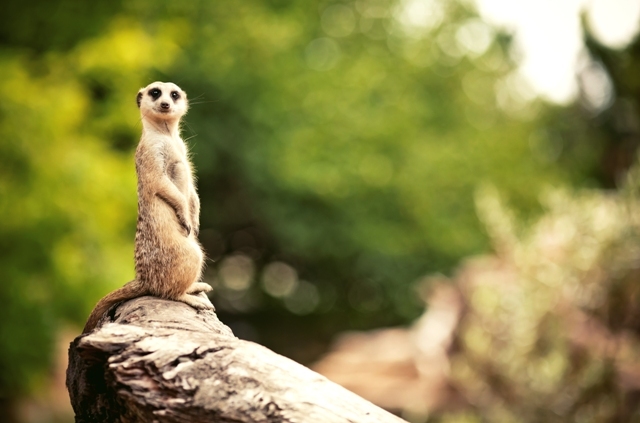 Blackpool Zoo is home to over 1,500 animals and a range of fantastic shows and educational exhibits for the whole family. Fancy feeding a tiger? Check out this and lots of other unique animal experiences available during your visit. Enjoy the thrills of Britain’s most famous theme park. 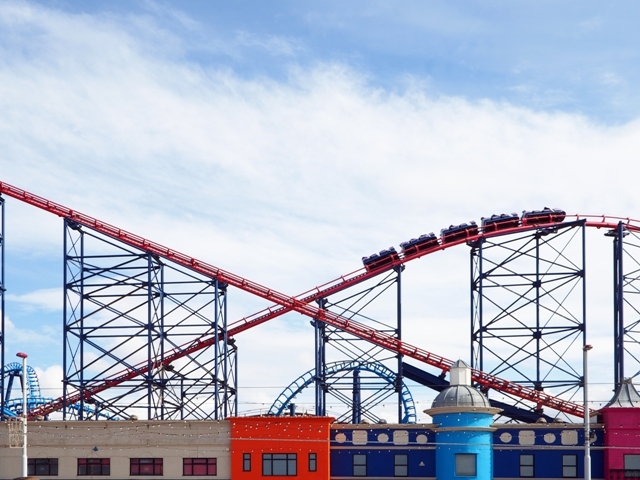 Located along the south shore, Blackpool Pleasure Beach is a wonderful day out for the whole family; with high-speed roller coasters, traditional family rides, shows and the wonderful Nickelodeon Land for younger guests. At 235ft, The Big One is the UK’s tallest and fastest roller coaster, with speeds of up to 87mph! Don’t miss the park’s newest thrill, Red Arrows Skyforce, which takes riders on a ‘360-degree tour of the skies. For more information visit www.blackpoolpleasurebeach.com. 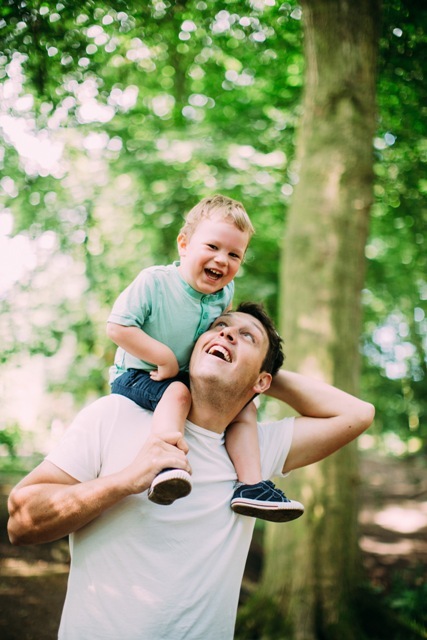 This beautiful park offers stunning landscaped gardens, children’s playgrounds, historical buildings, sports pitches, and a skate park, as well as designated walking and cycling routes. The entrance is located on West Park Drive, FY3 9HU. An 84-degree tropical climate in Blackpool? That’s right! Blackpool is home to the UK’s largest indoor water park and is one of the resort’s most popular attractions. You’ll love the wave pool, lazy river, snack bars and amazing water slides. 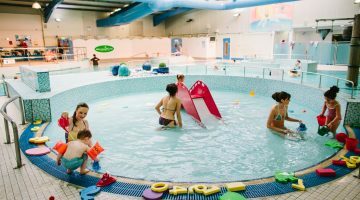 Sandcastle Water Park is located opposite the Pleasure Beach on the sea side of the promenade. 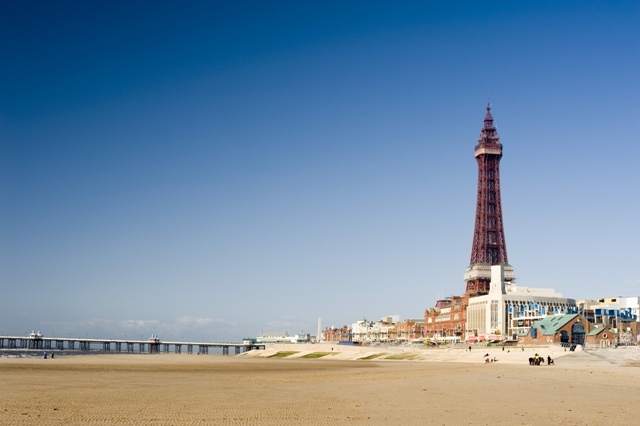 Blackpool has so much to offer and is only 10 minutes from Ribby Hall Village. Staying with us on holiday? Visit Holiday Guest Reception to speak to a member of our Guest Services Team who can offer discounted tickets to local attractions including Blackpool Tower, Blackpool Zoo, and Sea Life Blackpool. Offers vary throughout the year.